Mason’s always lived each day like it was his last, but everything is nearly taken from him when he’s injured. The only thing he can focus on is making sure the ones who hurt him pay with their lives. Ryeissa can feel the wall Mason has built around himself. Being his nurse means she’s there to give him support, but she can see the darkness festering inside of him and fears he’s lost to his anger. 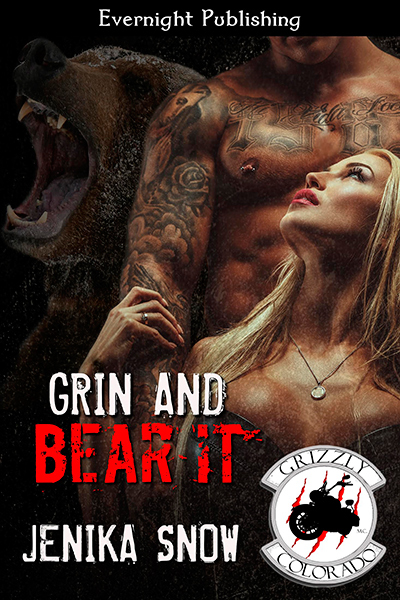 As the two become close, and Mason’s bear demands he take Ryeissa as his mate, he struggles with the need to shelter her not only from the violence and revenge he has to exact on the men who attacked him, but also from himself. Can he push away his need for vengeance in order to be with her, or will he end up ruining the only chance he has of making her his?